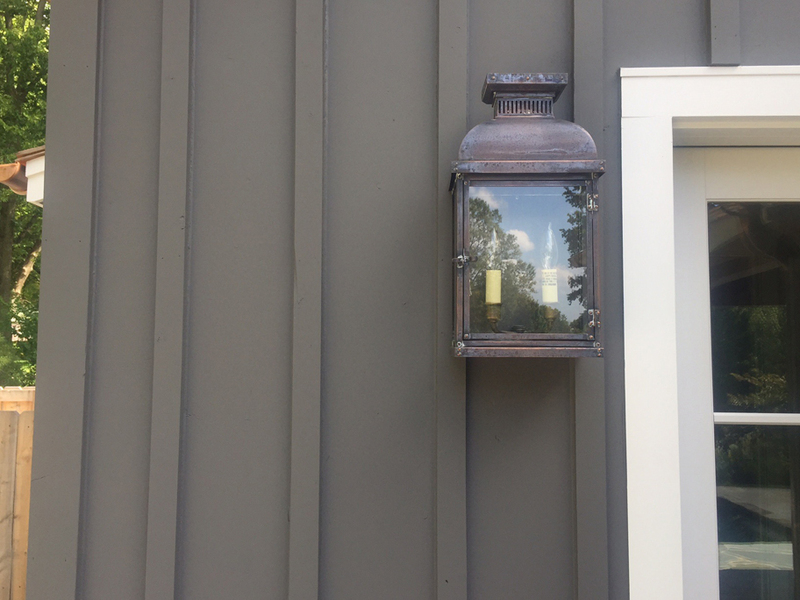 Board and Batten siding is a timeless look that is easy to install and leaves a classic "farmhouse" look. 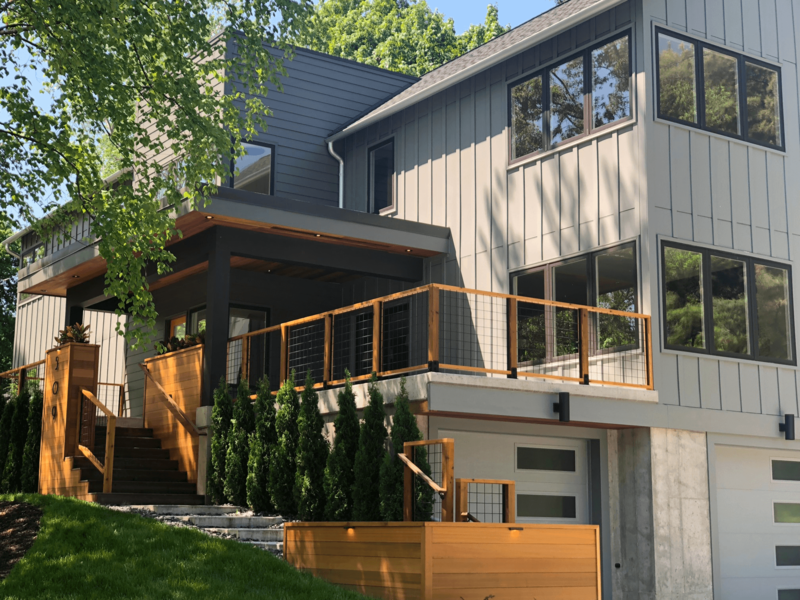 There are many different materials, and ways to create a board and batten look, and below are just some of the many options. 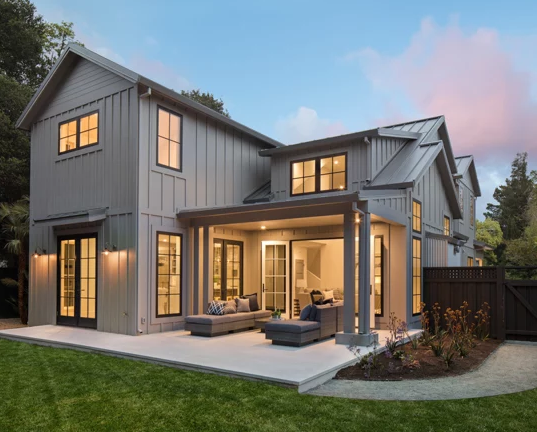 James Hardie uses a panel system to create the board and batten look. 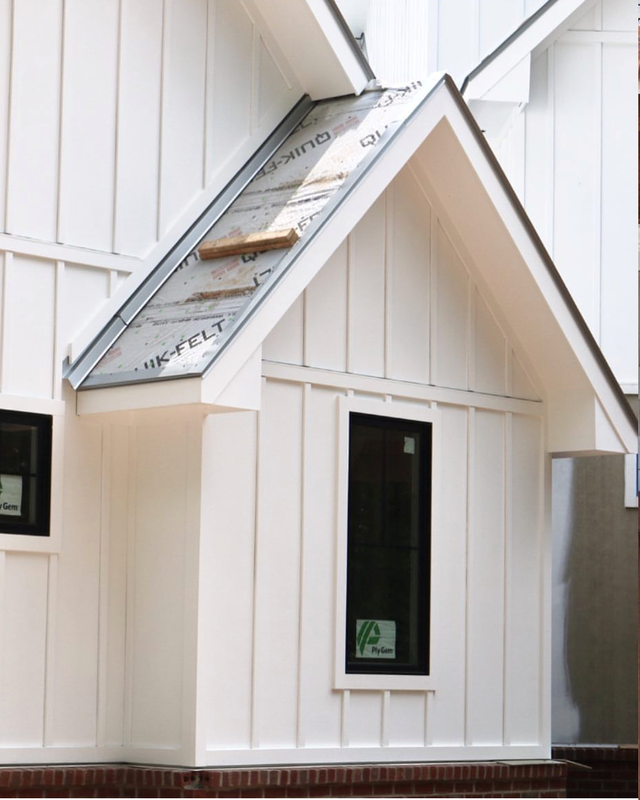 James Hardie board & batten is best for applications looking for a pristine painted look that is also low maintenance. 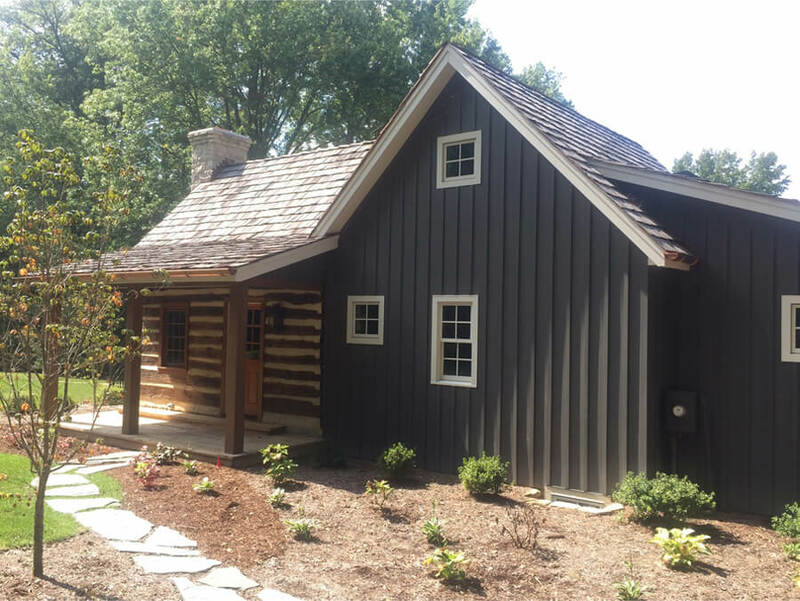 Western Red Cedar use a traditional board and batten look to leave a warm, rustic look. This is best when finished natural, but can be painted or stained. 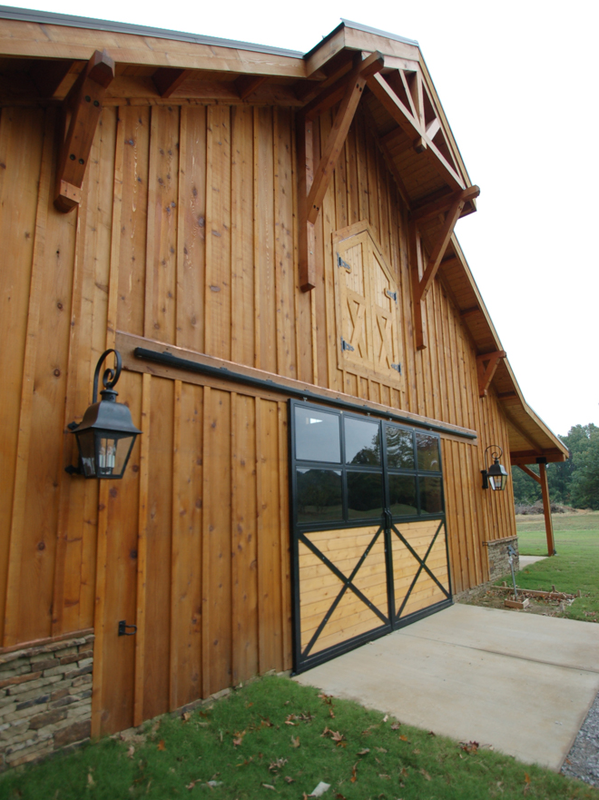 #3 Common boards are a cost effective and easy way to create a board and batten look. They can be painted any color, and leaves a natural "old world" look.